Currently browsing articles with a topic of "fish ears". 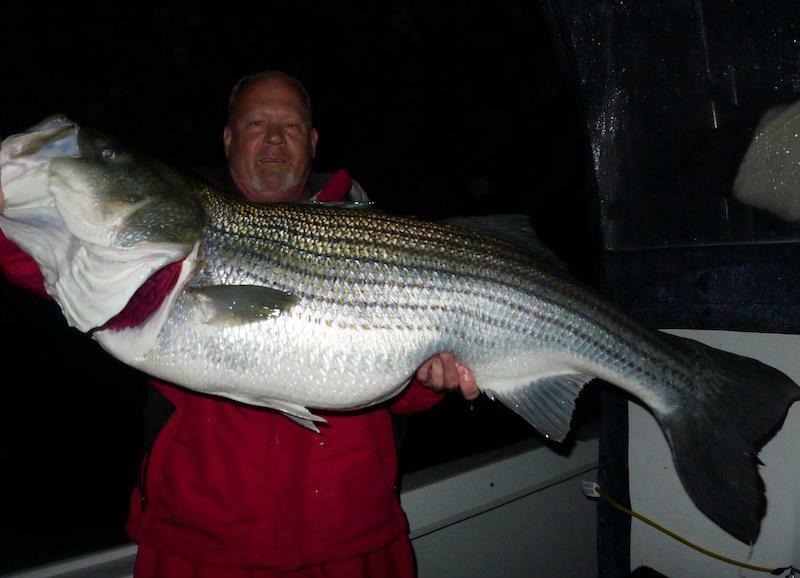 The third in a series of entries about the senses striped bass use to find their prey, here’s a look at how we can trigger more strikes by understanding how stripers hear and feel. It’s no secret that fish can be either attracted or repelled by sound. One of the biggest mistakes I see from rookie Chesapeake Bay fishermen is making too much noise. Every hunter knows the importance of stealth. When I was a kid, my dad taught me to walk lightly in the woods and to avoid stepping on sticks or limbs that might crack. He also showed me how to control a cough or sneeze and advised me to regulate my breathing in order to be more stealthy. Later, I sat through U. S. Army basic training and NCO academy classes stressing the importance of noise discipline in combat. Avoiding excessive noise when you’re fishing seems like common sense, but I’m always amazed when I see a boatload of fishermen roar up on a fishing spot, laughing and shouting with radio blaring and engine running. Obviously, stripers can be put off by noise, but they can be attracted by the sounds they’ve learned to associate with food. To a casual observer, it might seem like a quiet world beneath the water, but it’s really a noisy environment: Drumfish drum, croakers croak, baitfish bolt, crustaceans click, even crawling crabs contribute to the convoluted cacophony of sound. Striped bass hear low-pitched subaquatic sounds better than humans. They have an auditory range that starts on the low end at 15 sound waves per second (Hz) and tops out on the high side at about 15,000 Hz. Humans can’t hear sounds much lower than 20 Hz, but we can usually hear high pitched sounds better than rockfish. The angler’s challenge is to amplify the sounds that trigger strikes, while masking the ones that send fish packing. Read More!